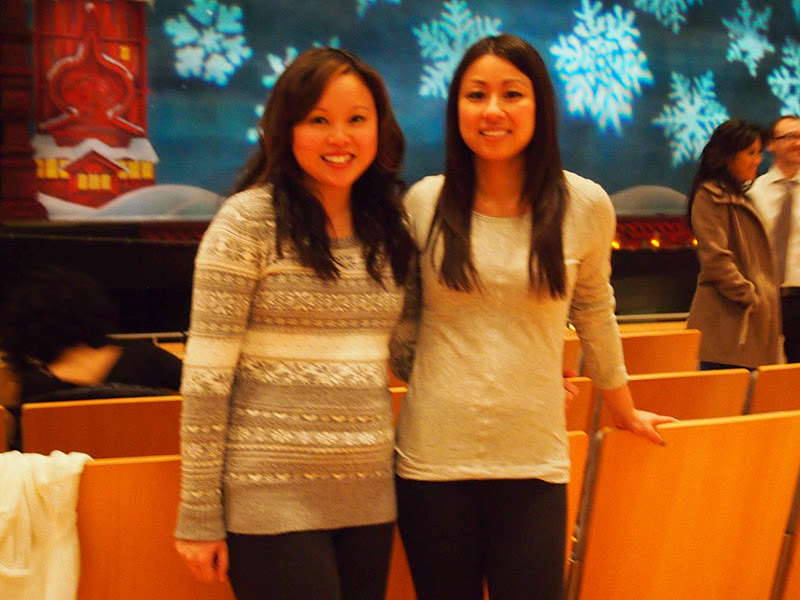 The Hip & Urban Girl's Guide: We Make Like Ballerinas In The Nutcracker! We Make Like Ballerinas In The Nutcracker! 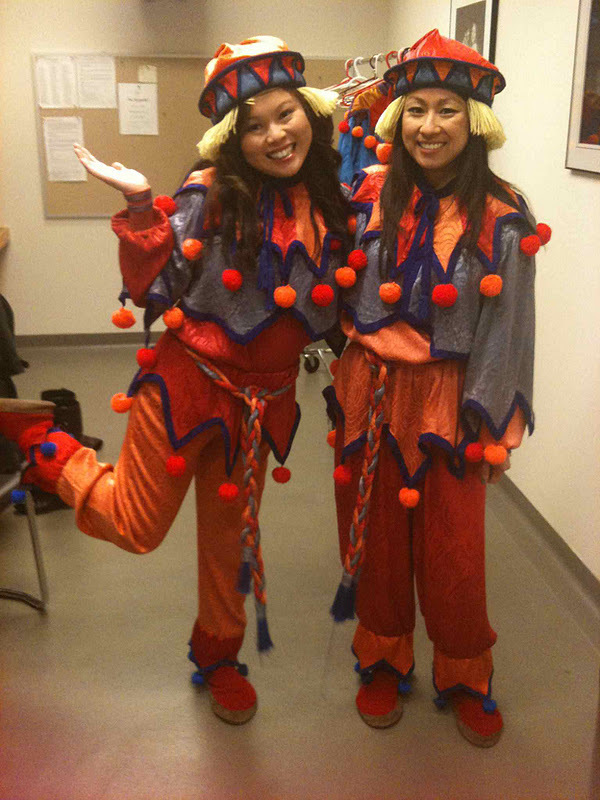 Somewhere, somehow...The National Ballet of Canada got our names and asked Wendy and I to make a small cameo appearance as Cannon Dolls for a Saturday evening performance of The Nutcracker. We were extremely flattered, considering our questionable dancing skills and the fact that they never asked for an audition - phew. 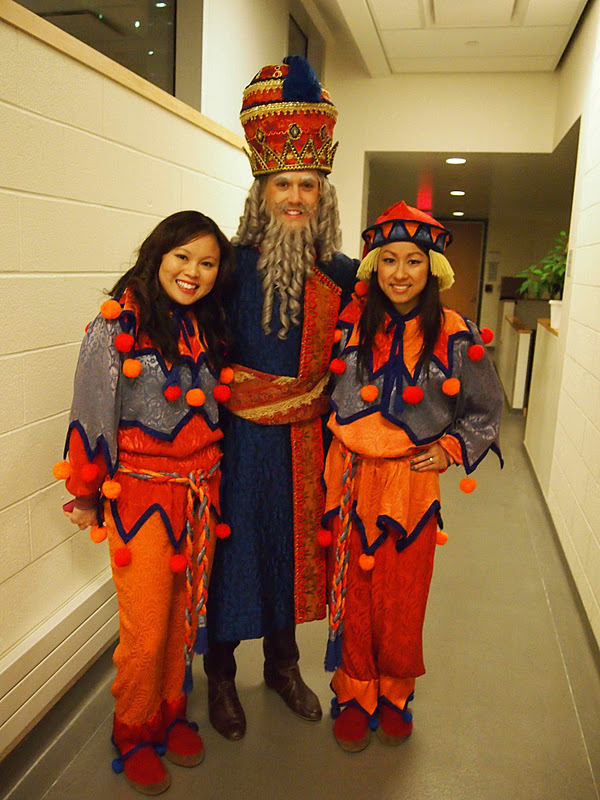 The costume alone was enough to convince me - I was like a human pom pom with blond wool hair...YESSS. After being met at the stage door by Rex Harrington (ladies, he's a stunner), we watched a video of what exactly we had signed up for (lots of jumping around and miming) and had a quick 10-minute rehearsal with Rex. I was so excited about meeting Rex, I didn't take the time to adjust my camera that photo came out fuzzy...gah! A wardrobe associate outfitted us in our costumes and we watched part of the performance in the wings right before our entrance at the 35-minute mark. Everything is incredibly organized and well-timed backstage. The stagehands do a fantastic job making sure everything runs smoothly. 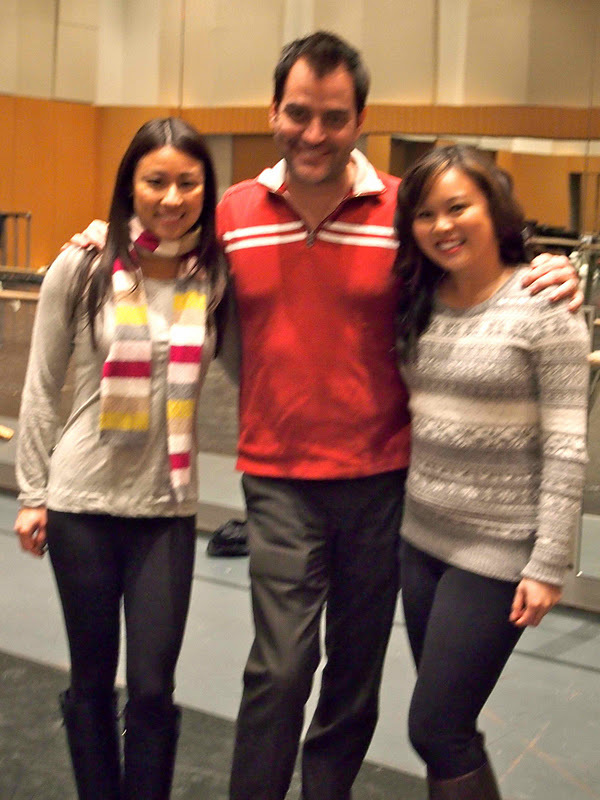 I was a little bit nervous, but more excited to be on stage with real ballerinas and The National Ballet of Canada. The lights are so bright, that you can barely make out the audience. I just wanted to make sure I wasn't in the way and didn't get knocked out by a giant rat holding a pitchfork. After two really long minutes, the whole thing is over. It was the perfect once-in-a-lifetime experience. Hanging out backstage with some of the younger cast members and rotating school choirs (above). The Nutcracker features a whopping 214 performers which includes 70 dancers, 60 students, 60 musicians and 24 singers in every show. It's the biggest production of the year for the National Ballet of Canada. If you haven't seen it yet, it's a definite treat - guaranteed to get you in the mood for the holiday season. I read in the programme that ballet dancers can go through up to three pairs of pointe shoes per performance, depending on how demanding the choreography is. Each pair lasts about eight hours and average out at around $80 each. 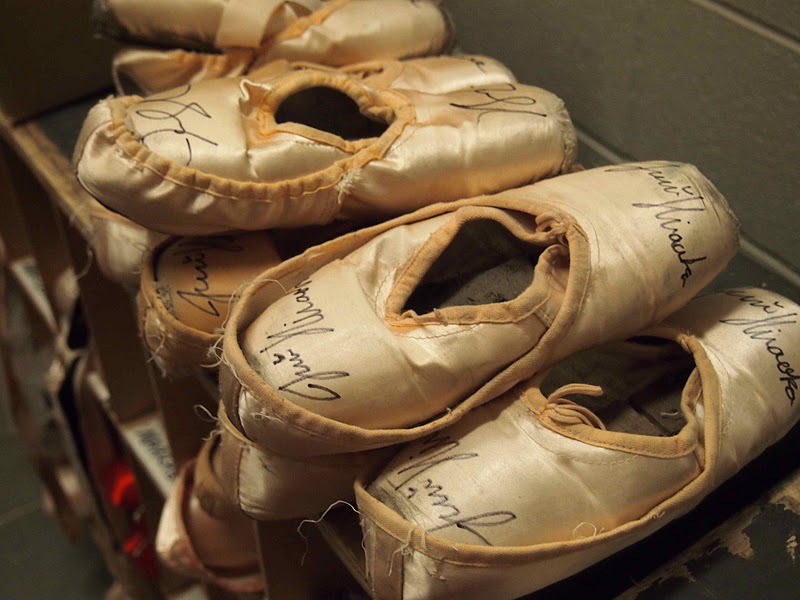 The company goes through 2,000 pairs of pointe shoes every year - and you thought you had shoe problems. 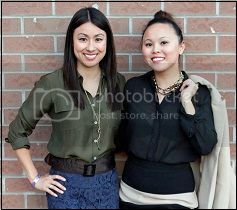 After our bit part, Wendy and I met our family during intermission and were able to catch the rest of the second act. 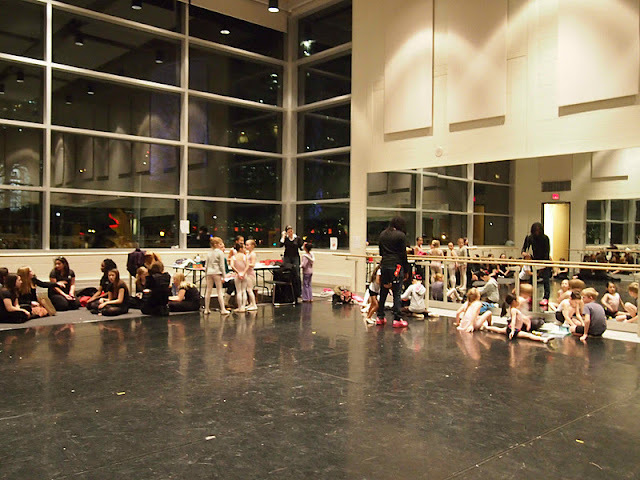 Thanks again to National Ballet of Canada for having us! I saw The Nutcracker for the first time last year but I can't remember the cannon dolls. Anyway, you two look adorable! What an experience. Awww thanks guys! We were literally on the stage for 2 mins max and during all the busy action too.